Mornings can be crazy particularly if you are headed back to school. 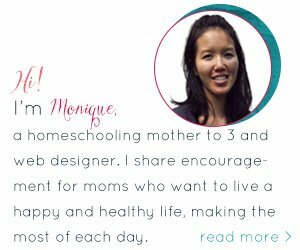 As mothers, starting a new routine, getting lunches ready and school supplies, not to mention your own things can be hectic. 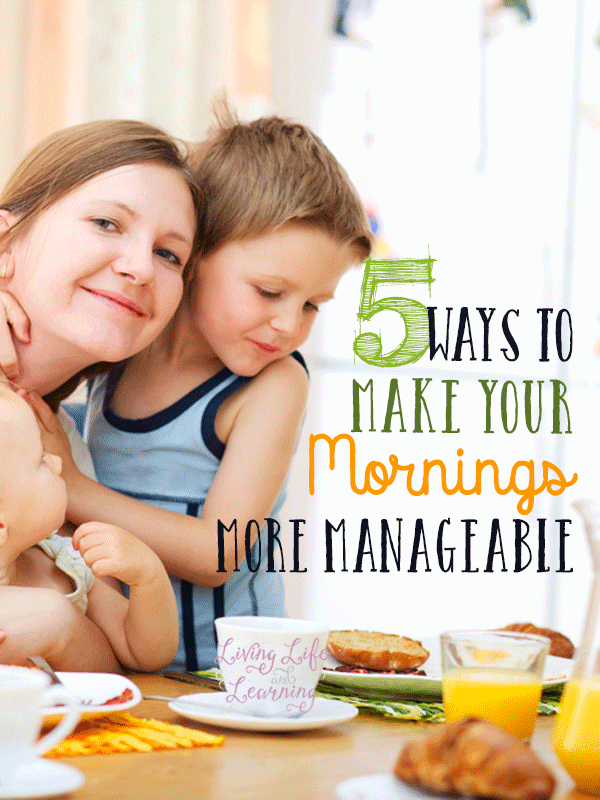 What can you do to make your mornings more manageable? We are not morning people in this house so if we have to be somewhere by 10am, that’s early for us (we’re homeschoolers) and take some planning to ensure we can get there on time without losing my hair. I like simple so I don’t make huge elaborate breakfasts, did I mention that we’re not morning people? However, I do ensure that my family eats healthy food. What can I do that is simple and healthy as well? Cereal is my #1 go to for breakfast, I have 7 boxes of cereal right now stocked on top of my fridge. I have full of boys, and these boys can eat. We also like to have toast, eggs, yogurt, and a lot of fruit. Again we’re simple and this is for most days. When I get fancy on the weekends, we’ll do pancakes and bacon but that’s not so simple so I save that for the weekends. Every day I make a smoothie, no matter where we go, it’s easy to transport and we can pack so much healthy goodness like spinach, flax seeds and avocado in there too. If you’re going to be out for the day then you need to pack a lunch. Because hungry kids do not make mama happy. I always ensure that we have portable foods that we can carry for lunch like sandwiches and lots of fruit. I was everything the night before and pack it all up. In the morning, all I have to do is bag everything. I also fill up everyone’s water bottles and have those ready as well. This also curbs the temptation to eat out at a fast food joint while you’re kids are dying of hunger if you’re out. I pack the kids backpacks which can include books and extra clothing and my purse the night before. I hate having to look for my wallet or keys which often happens particularly when you’re in a hurry. Yes, it hurts when I see that my cell phone is low on battery and I’m going to need to reach my hubby while I’m out. Always ensure your phone is charging the night before. I’m not picky about what I wear but when I’m tired in the mornings then things just come very slowly to me so when I have to get my littles dressed and then myself, I always seem to be missing those pants I wanted to wear or the socks I wanted so I get my stuff as well as the kids clothes ready the night before and let them know where it is to make our mornings more manageable. Things just seem less crazy when you’re prepared for it. Try these tips and see if your mornings can be more manageable. I plan the night before! Lunches made, outfits picked out, backpacks packed.. all done the night beforehand. My daughter also showers the night before so she just has to freshen up the next morning. It works! I keep a checklist on OneNote with all these things on it.